Second Cup Coffee Co. Rewards! Being a Mom and my own boss means that I make my own hours. In order to balance it all and to keep things running as smooth as possible, you’ll often find me burning the midnight oil or waking up with the birds. That, my friends, requires a lot of fuel in the form of caffeinated beverages. With work and keeping a home, it’s nice to take a break from it all and head over to Second Cup to grab a premium cup of joe, a delicious treat and connect with my husband and girls. The girls are fans of our “coffee dates” and it’s definitely a nice perk me up while connecting with them. What can be more rewarding than great conversation plus a great cup of coffee? Well, getting rewarded for it! “Join. Earn. Enjoy.” That’s right, Second Cup announced the national launch of Second Cup Coffee Co.™ Rewards – a free loyalty program with a mobile app designed to enhance your coffee experience by giving you a simple and fast way to earn points, redeem rewards and be delighted by personalized offers and surprises. Head on over to www.secondcup.com/rewards to register and sign up to become a member! It’s super easy and using it with the app is even easier when you get to the cafe. Second Cup Coffee Co. Rewards members earn 10 points for every dollar spent and you’ll even earn points just for signing up. You’ll even get some special surprises throughout the year. Fore example, you’ll get free beverage on your membership anniversary date and other personalized bonus offers! TIP: Sign up before May 20 and automatically enjoy a welcome offer of 500 points – that’s enough points for a FREE brewed coffee, espresso or tea beverage, of any size–and it’s on Second Cup’s dime. The Rewards program allows members to earn points for every dollar spent at Second Cup, providing exceptional value as reward levels are quickly reached. To join Rewards, customers can simply download the FREE Second Cup Coffee Co. Rewards app from the App Store or Google Play, or pick up a card in café. Members can even use the app on their Apple® Watch, making Second Cup Coffee Co. one of the first Canadian companies to debut an app for the new device. With this exciting introduction, Second Cup demonstrates its dedication to superior quality and innovation. The app is simple to use, once you’ve loaded your card and transferred the funds onto your app. The power of the bean is in your hand! Quite literally! We went on coffee date at Second Cup (you can see our date on IG) and I ordered what we wanted and simply scanned my iPhone and paid for the entire order through my phone. Not to mention that the 500 points were already there waiting for me and I racked up a free beverage! How cool is that? Right inside the app a “tap to drop” feature that responds to gravity and releases a drop of liquid into your Rewards cup. Find out when there’s a new promotion, a nearby offer, or a customized offer. Pay for purchases directly from the app. Top up their card balance with easy reload. Track rewards and redeem when desired. Find a Second Cup café with the Café Locator. 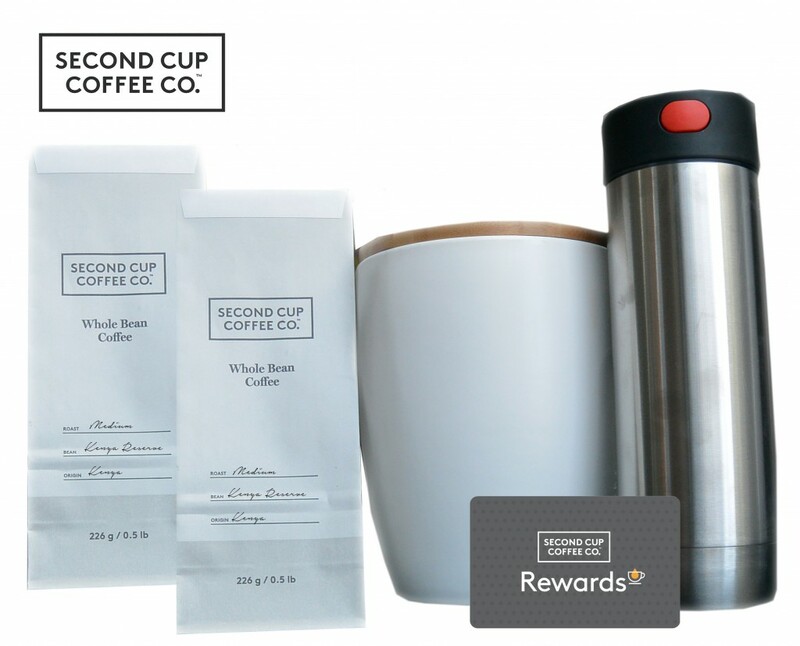 Pay for purchases and collect points using the Second Cup Coffee Co. Rewards app on the brand new Apple® Watch. Fill your cup with a more rewarding coffee experience! 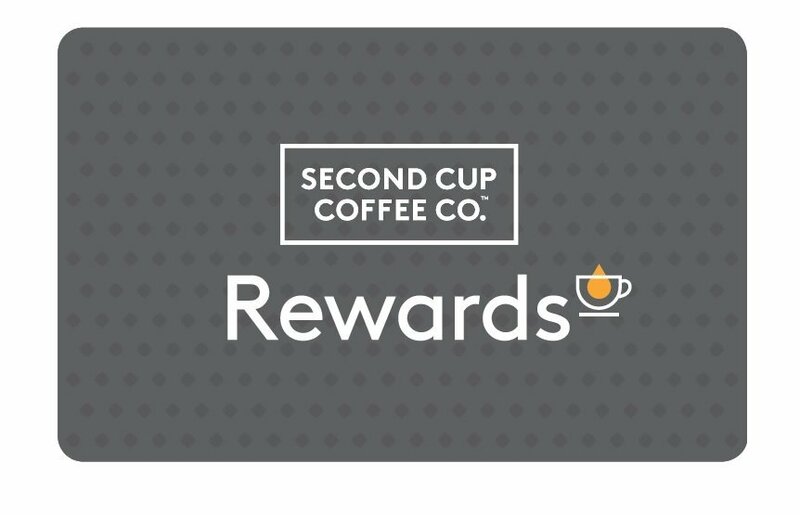 Second Cup Coffee Co.™ is thrilled to introduce Second Cup Coffee Co. Rewards™ – a loyalty program with a sleek mobile app where members receive points for every dollar spent. To celebrate, Whispered Inspirations is offering you the chance to win a Second Cup Coffee Co. ™ prize pack valued at more than $100! Become a member by picking up a card in café or simply download the FREE Second Cup Coffee Co.™ Rewards app from the App Store or Google Play. For more information please visit secondcup.com/rewards and be sure to check out @secondcupcanada on Instagram and send @SecondCup a tweet if that’s more your style. 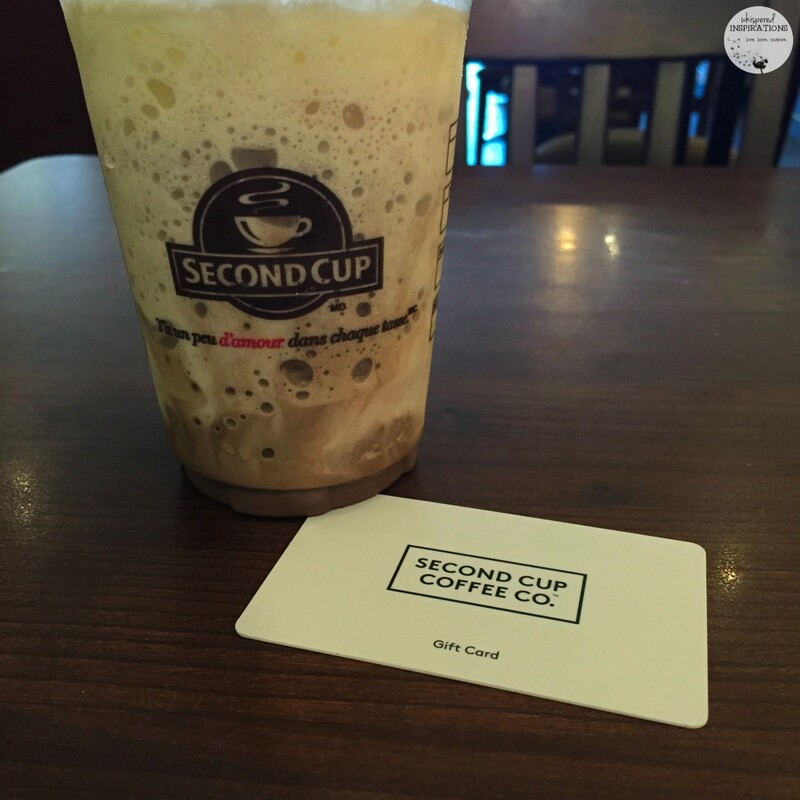 You can always visit Second Cup on Facebook and you’ll be sure to get all the latest updates! I’m excited to start earning, are you? Do you love earning rewards towards goodies? Previous Post: « Schick Intuition’s Revitalizing Moisture Razor in Tropical Citrus, Enter to WIN One and Review It For Yourself! I like to order a plain chill latte. I usually order a hot chocolate. The biggest black coffe i can get! I have never been to a Second Cup cafe before!! I enjoy french vanillas. I am a latte girl!! I love the mango smoothie! I order cappuccinos & hot chocolates. Caramel corretto is my go to. I like to order french vanilla cappuccinos. I like the Chai Tea Latte so I get that every time! I like a vanilla Bean latte. I usually order a medium sized coffee from them. I love to pick up a dark roast with extra cream when I am stopping in at Second Cup! I get a dark roast coffee. A chillatte they're my favourite summer drink. I usually get a Chiller! I like to order a Chilllatte. I usually get a hot chocolate. I love the London Fog and you can get it iced and its AMAZING!!!!! I'm headed to Second cup today, and I want a great big latte with whipped cream on top and chocolate in it. Is that too much to ask? I think a Mocha latte. Coffee but sometimes a French Vanilla cap. I love a chai tea or smoothie! The frozen hot chocolate is my new Second Cup favorite! I usually order a peppermint tea. I love to order a dark roast with extra cream at Second Cup! vanilla bean lattes are my fave. I always order a double double coffee! I went yesterday and they don't sell Chillattes anymore. So sad, but I had an Espresso Frappe something or other that was wonderful. I would like to order a flat white sometime. I haven't tried it yet. I order Irish Cream coffee…Second Cup makes the BEST Irish Cream!!! I order a hot chocolate! I would go for a Caramel Coretto. White Hot Chocolate with whipped cream! Frozen Hot Chocolate is so dreamy! Right this minute I would order one of Second Cups new Espresso Frappes. Had a latte today actually! I usually order something different every time. I like a yummy Chiller! I like the green tea latte. Usually a latte, can be chai or pecan or maple! Frozen Hot Chocolate & I recommend it to everyone! Delicious! I am Hazelnut Latte Obsessed. They make the BEST!! I also like Frozen Hot Chocolate on warm days. Thanks for the chance. The best beverage is Frozen Hot Chocolate. The kids & I love getting it as a treat! Latte – and sometimes even a vanilla bean latte! LOVE White Hot Chocolate with Whipped Cream! I love an iced chiller. I have one of the lighter roast, whichever they have ready made. I would order a Caramel Coretto. A yummy iced Chiller for me. I usually order a hot chocolate or a latte and sometimes whatever their seasonal special is. Frozen Hot Chocolate is my favorite, it's the perfect beverage! Usually I order a regular coffee. I order a chai tea latte. A yummy chiller for me! I'd go for a Vanilla bean Latte. The Frozen Hot Chocolate is creamy & oh-so-good. It's such a wonderful treat! White Hot Chocolate with Whipped Cream! So good. I order a café latte. Call me boring – I order a regular coffee. I enjoy a Chai Tea Latte! I like to get a chai tea latte or just a coffee. I usually just order a regular coffee.